Every Monday we have new students who come to the school for their first day, they arrive at 8:30 and have a free muffin. After an induction of the school presented by Mike, they have the placement test to find their level. At lunch time, they can enjoy the tour of the city organized by the interns where they can discover the most useful places near the school. In the afternoon, the new students have Coffee and Chat, in this activity, they can meet other students and play different games and have free coffee/ tea and biscuits. Their first day finishes when Sarah gives them their timetable. After this long day, the new students will have many occasions to meet the other students for example in class but also with the Welcome Drink on Tuesday. At EC Manchester, we have many different activities but one of the most popular for the students is the Welcome Drink. 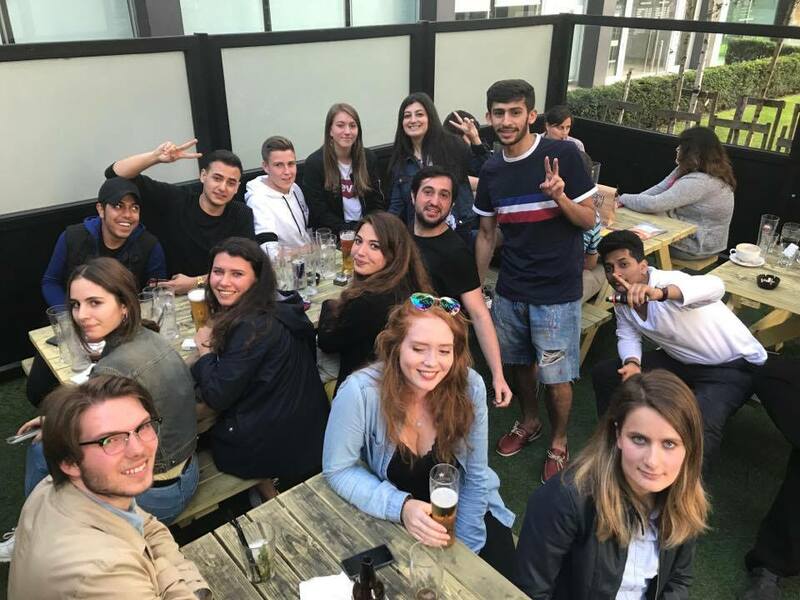 Every week, more than twenty students meet at the Yates Pub which is 5 minutes from the school and after a long first day of class for the new students. This Tuesday the students were lucky because it was sunny and they enjoyed the terrace. The Welcome Drink helped the new students to feel integrated into the group. With a drink and for some students a meal, they share their experience in the school and also the old students gave some tips to the new about the life in Manchester. For EC Manchester, it’s very important that the new students feel comfortable as quickly as possible, so we try to do our best to help them to do that. Student international night out – Erasmus Party!